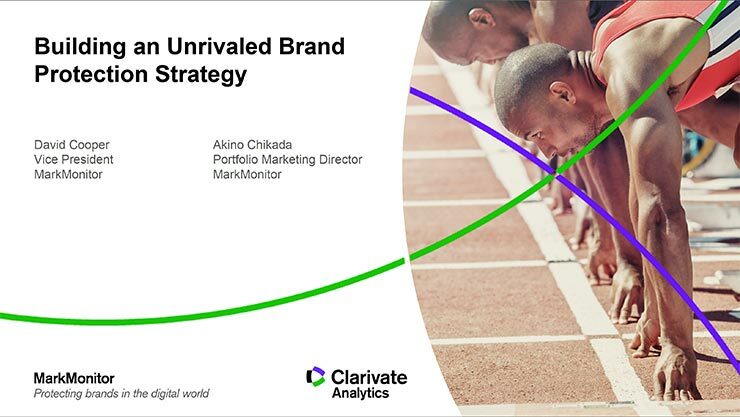 Building an Unrivaled Brand Protection Strategy? Want brand protection that counts toward your bottom line? Start with your consumer. Research shows that 23 percent of shoppers unknowingly purchase counterfeits. When you protect well-intentioned consumers with enforcement where it matters most, you’ll see a much higher return on your investment. MarkMonitor is the first brand protection service to revolutionize the fight against cybercrime with a direct line of sight into your consumer’s online shopping experience. While platforms crawl the internet before establishing a target, our network of tens of thousands of IP proxies provides you with geo-targeted listings specific to your users’ location. The right technology and best practices can ensure that the most visible pages in search listings, marketplaces and paid search ads are as clear as possible of counterfeits on your products. Please join MarkMonitor brand protection experts David Cooper and Akino Chikada, and see firsthand the benefits of these groundbreaking features. Please complete this form below to view the webinar Building an Unrivaled Brand Protection Strategy?.